An interactive half-mile winding pathway that allows you to journey through the Passion of Christ as never before. 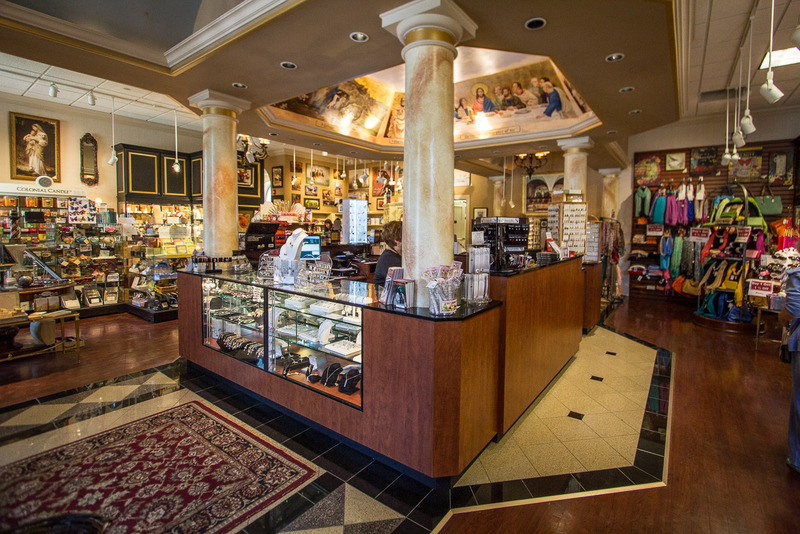 Stop in and visit The Gift Shoppe at The Shrine of Christ’s Passion and see why it is being called one of the BEST in all of Chicagoland and Northwest Indiana. 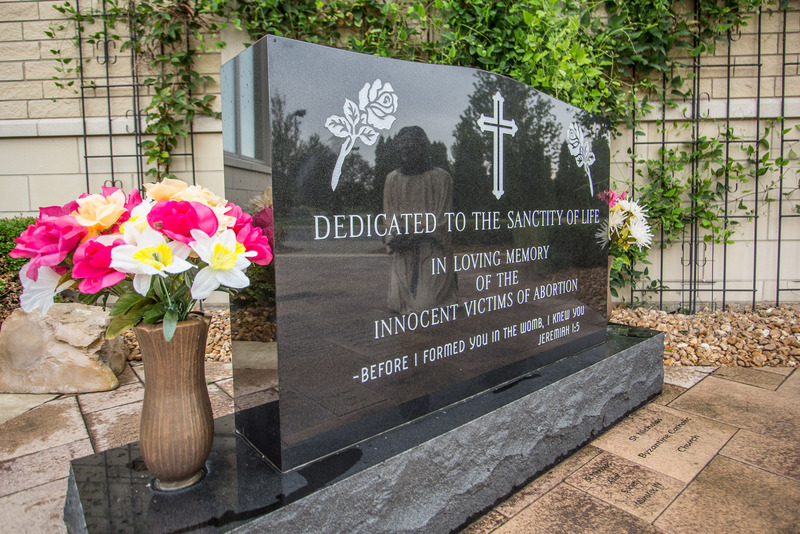 The Sanctity of Life shrine features a black tombstone in honor of the unborn and a bronze statue of Jesus with tears running down His face, holding an unborn baby. 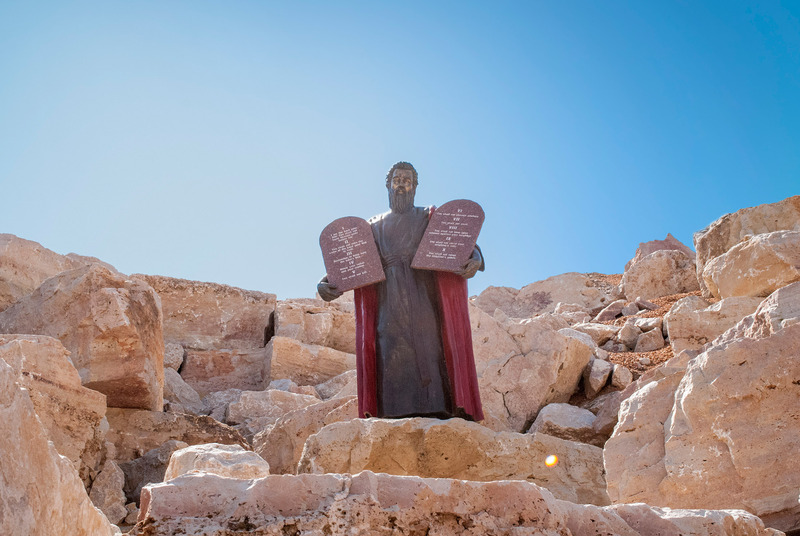 Experience the 10 commandments in one of the most realistic depictions of Mount Sinai in the world. Our newest path addition. 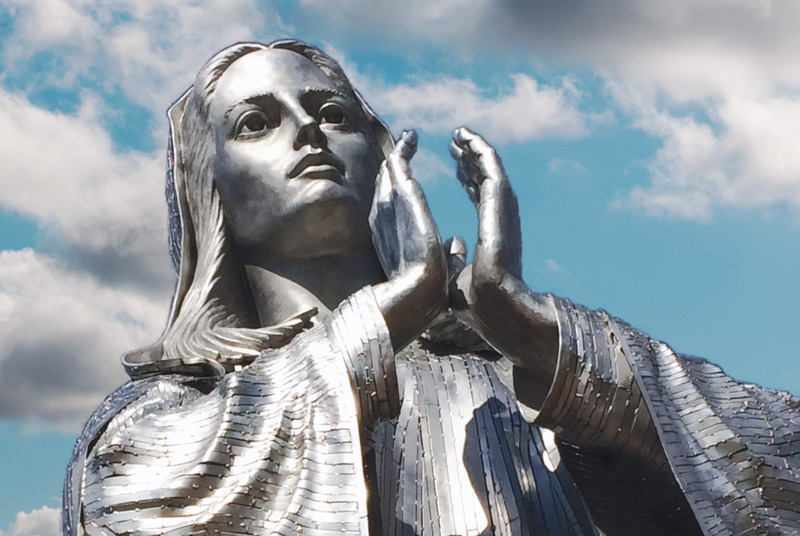 Our Lady of the New Millennium is a powerful image in our increasingly visual culture. At more than 33′ tall, this serene, stainless steel four-ton beauty will inspire you–whatever your faith or age. 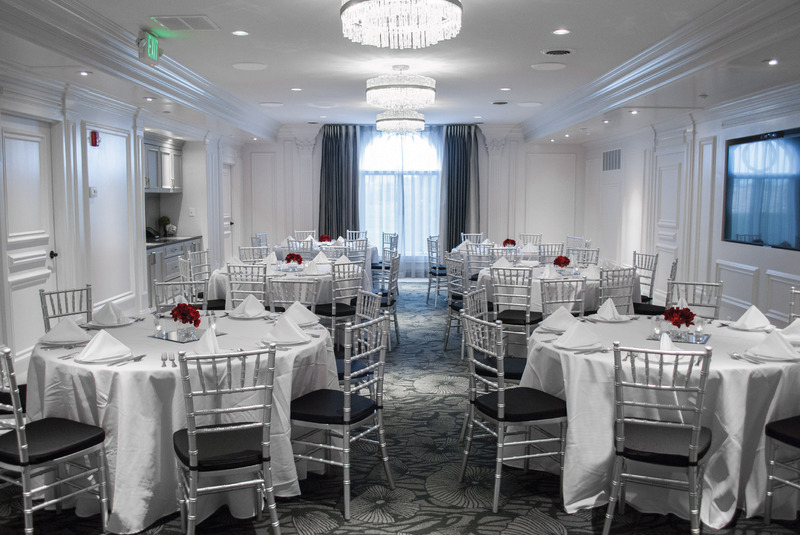 Looking for a Conference Room or Banquet Room? Look no further! Our state of the art Summit Room is our latest addition and is ready to host your next event. Here you can sit with Jesus at the Last Supper, journey with Him along the path to His crucifixion, actually enter the empty tomb and finally witness His glorious Ascension into Heaven. Come away with a deeper understanding and appreciation of the love of God for all humanity. Here at The Shrine of Christ’s Passion lives are changed one soul at a time. The Shrine has been featured on CBS News, and on two world wide Christian TV networks! 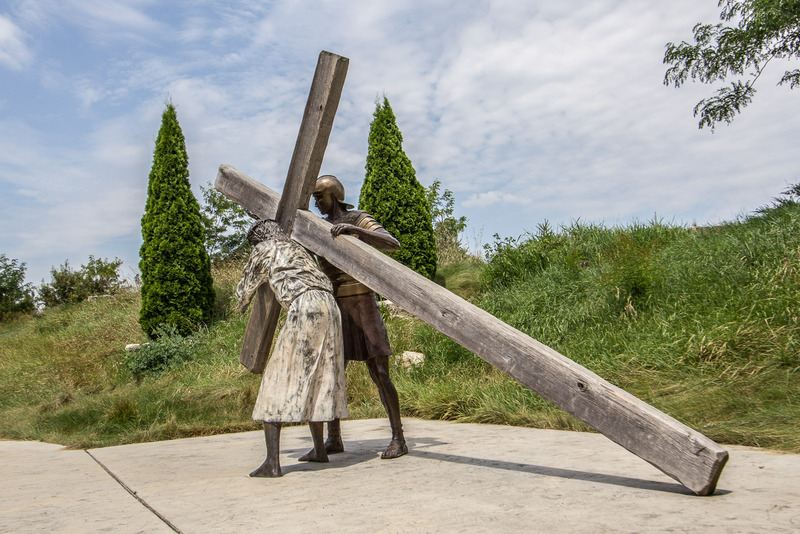 As a guest walks the beautiful path they experience breathtaking scenes representing the last hours in the life of Christ from the Last Supper to the Ascension. Original music reflects the mood at each scene where a guest can hear a meditation that corresponds to that moment in the life of Jesus. The Shrine is free of charge and nondenominational; it is loved by people of all faiths! We hope you will come and experience this magnificent place! Our exquisite 10,000 sq. ft. Shrine Gift Shoppe offers a huge variety of unique and inspiring gifts for any occasion in all price ranges. Beautiful inspirational music surrounds you as you browse our huge inventory of exceptional and distinctive gifts. Our guests can also take a break in our self-service Shrine Café, or sit and relax in our library watching a great movie or peruse our wonderful selection of books. To provide a prayerful environment where all people can open their hearts to the journey of Christ’s Passion and draw closer to the Lord.